1. Temperature Compensation - Varying results due to temperature fluctuation are eliminated when the temperature is constant over several repetitions or tests. 2. Vacuum Bake-out - Heat helps release moisture and impurities/ particulates in a closed system to allow the test results to be more accurate and consistent. 3. A higher temperature may be required to generate the desired results. 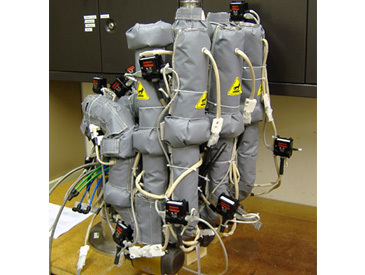 BriskHeat’s Custom Cloth Heating Jackets are ideal for scientific/ analytical instrumentation applications. They can be custom designed and manufactured to fit almost any size and configuration. BriskHeat’s patented multi-stranded grounded heating element provides ultimate durability, reliability, customization, and safety. Custom cloth heating jackets are made to ensure intimate surface contact. This provides maximum efficiency and consistent heat across the entire heated area. The built-in insulation maximizes thermal efficiency and provides safe touch while being heated up to 1100°F (593°C) and maintaining very tight tolerances. Custom cloth heating jackets can be made using low particulate materials to meet clean room standards and have several closure options to make installation and removal quick and easy without risk of damaging the heater. 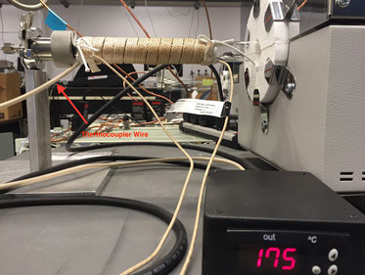 XtremeFLEX® Flexible Heating Tapes and Cords are extremely versatile, easy-to-use, and an economical choice for laboratories and research & development facilities. 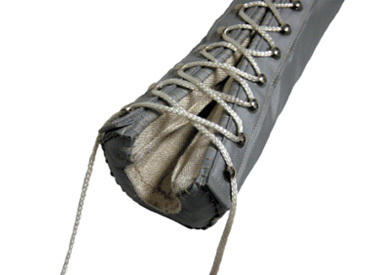 The durability and flexibility of XtremeFLEX® heating tapes and cords allows them to twist, turn, bend, and wrap around many objects; even those with diameters as small as a pencil. In addition, they have high temperature capabilities up to 1400°F (760°C) and watt densities up to 13.1 W/in² (0.020 W/mm²). These features allow them to heat-up very quickly and maintain high operating temperatures. A wide range of standard sizes are available to fit most application needs, with custom sizes available upon request. To improve energy-efficiency, it is recommended that heating tapes are used in conjunction with insulation.